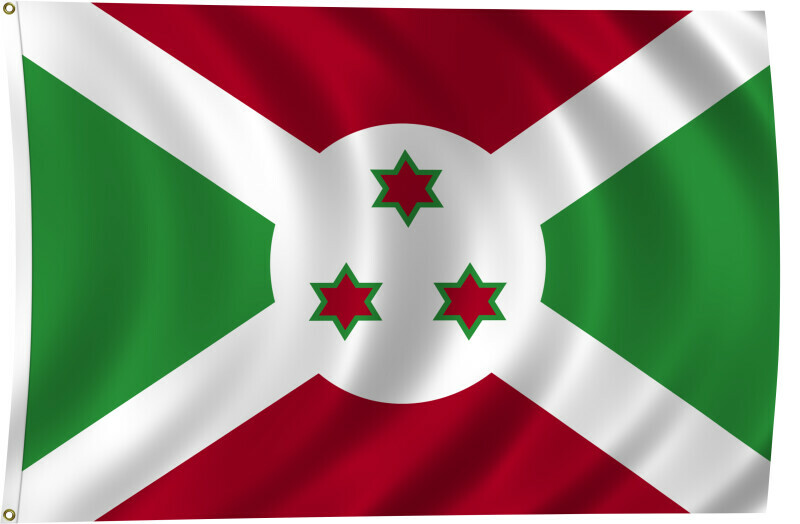 Color flag of Burundi. Divided by a white diagonal cross into red panels (top and bottom) and green panels (hoist side and fly side) with a white disk superimposed at the center bearing three red six-pointed stars outlined in green arranged in a triangular design (one star above, two stars below). Flat color and black/white versions of world flags are available on the Clipart ETC website.